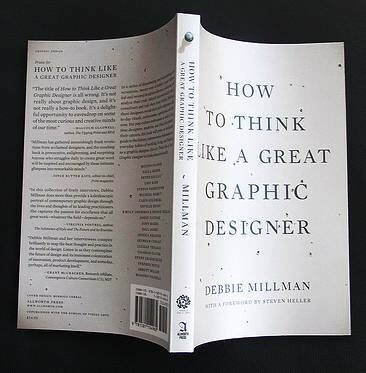 Joining me today on a very special broadcast of Design Matters with Debbie Millman is Patrick Coyne with special guests Milton Glaser and Cheryl Heller! Patrick Coyne is editor and designer of Communication Arts. Prior to joining CA in 1986, Coyne studied at the California College of the Arts, worked for Michael Mabry Design and SBG Partners and established the multi-discipline, San Francisco-based design firm of Patrick Coyne Stephanie Steyer Design Office. 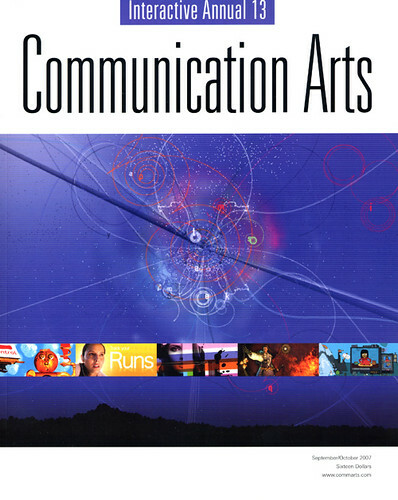 During his tenure at CA, Coyne has been a frequent speaker at design and advertising clubs as well as local, national and international design conferences and has received numerous awards for his design and art direction (including a silver medal from the Society of Illustrators), In 2004, he, along with Jean and Richard Coyne, received the AIGA Medal for their contributions to the field of graphic design and visual communication. Patrick is also the vice-president of the Richard and Jean Coyne Family Foundation. The foundation currently funds seventeen programs managed by educational institutions and non-profit trade organizations that help economically disadvantaged high-school students develop portfolios to qualify for admission to art school and/or provide college scholarships for economically disadvantaged students to study graphic design, advertising, photography and illustration. Milton Glaser is the embodiment of American graphic design during the latter half of this century. His presence and impact on the profession internationally is formidable. Immensely creative and articulate, he is a modern renaissance man — one of a rare breed of intellectual designer-illustrators, who brings a depth of understanding and conceptual thinking, combined with a diverse richness of visual language, to his highly inventive and individualistic work. Born in 1929, Milton Glaser was educated at the High School of Music and Art and the Cooper Union art school in New York and, via a Fulbright Scholarship, the Academy of Fine Arts in Bologna, Italy. He co-founded the revolutionary Pushpin Studios in 1954, founded New York Magazine with Clay Felker in 1968, established Milton Glaser, Inc. in 1974, and teamed with Walter Bernard in 1983 to form the publication design firm WBMG. Throughout his career, Glaser has been a prolific creator of posters and prints. His artwork has been featured in exhibits worldwide, including one-man shows at both the Centre Georges Pompidou in Paris and the Museum of Modern Art in New York. His work is in the permanent collections of many museums. Glaser also is a renowned graphic and architectural designer with a body of work ranging from the iconic logo to complete graphic and decorative programs for the restaurants in the World Trade Center in New York. 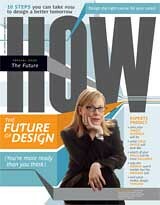 Glaser is an influential figure in both the design and education communities and has contributed essays and granted interviews extensively on design. Among many awards throughout the years, he received the 2004 Lifetime Achievement Award from the Smithsonian Cooper-Hewitt, National Design Museum, for his profound and meaningful long-term contribution to the contemporary practice of design. Cheryl Heller has been a creative pioneer throughout her life, and a role model for women in the creative professions. In her early career, she helped to broaden and redefine prescribed labels, blurring the boundaries between artist, designer, writer, strategist and entrepreneur. She now dedicates her considerable energy to demonstrating how communication design can be a force for good in the world. She has used humor, irony and intuition to accomplish this, in her work and in her life. Cheryl is currently founder and CEO of Heller Communication Design in Manhattan, creating brands that embody a sustainable future and inspire the behavior necessary to make it a reality. In the 80’s she founded the first successful integrated design department in a major advertising agency, which was subsequently spun off to become HellerBreene, part of the WCRS international network of agencies. It was named New England’s Hottest Agency in 1986. In 1990 she came to New York to become Executive Creative Director at Wells Rich Greene, where she ran the renowned Image Group. From 1994 until 2000, Cheryl was the Executive Creative Director and Managing Partner at Siegel&Gale, one of the world’s leading brand strategy and identity firms. She sits on the board of Pop!Tech, which accelerates the positive impact of new ideas. She serves on the board of the The Cloud Institute for Sustainability Education, is a member of the Aspen Design Summit, and is a past Executive Board member of the AIGA and the Art Director’s Club. She teaches an invitation-only course at the School of Visual Arts called Design for Good. Thanks for the show Debbie! Fantastic as always. I was introduced to the current greats in design through your show and for that I'll always be grateful! 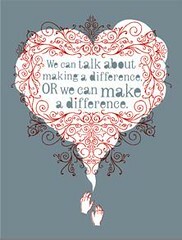 It's quite an education just listening to the topics you and your guests tackle head on week to week. Reminds me of that quote about how “good designers study other designers" but "great designers study everything". Please, please, please come back to Canada and speak again at DesignThinkers! I missed the last time you came, hopefully it wasn't the last! "Milton Glaser is the embodiment of American graphic design during the latter half of this century." He must be a pretty forward-thinking guy!